Discover a world of Slimes. Slime Carnage 1.7.10 is a mod that handles add new mobs to the game, especially focusing on the Slimes. Roam the world we can find a total of 15 variants of Slime, all hostile. But there isn’t only this development, far from it. The mod also adds NPCs with which we can “talk” and trade. To explore the world, we can also meet new structures, for example, taverns or ruins. Besides this, the mod adds new food, weapons, armor, spells and scrolls that allow us to make houses and other structures appear instantly. These scrolls can find them in the dungeon chests. 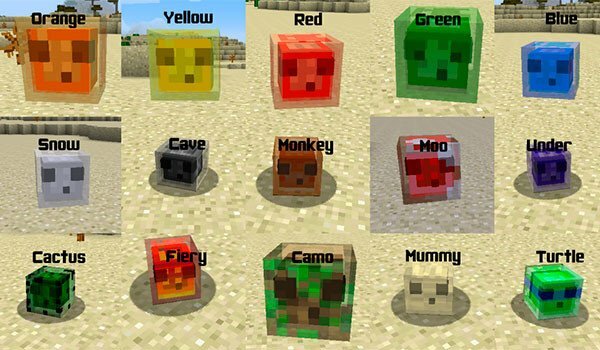 How to install Slime Carnage Mod for Minecraft 1.7.10? You can now go in search of new Slimes!